You will love your swim training and fitness sessions while wearing this beautiful Jaked Paper Swimsuit! The Paper Swimsuit - Red / Purple / Black is made with Jaked's Vita material which utilizes a combination of 78% polyester and 22% extra life lycra to produce a swimsuit that is very comfortable, durable and gives excellent shape retention. The Jaked Paper Swimsuit with it's colourful red, purple and black panel print is an ideal choice for club and leisure swimmers due to it's long life nature and fantastic comfort. The swimsuit is made with Jaked's Vita material which is a blend of recycled polyester and extra life lycra to produce a swimsuit with excellent shape retention, longevity and with a smaller environmental impact. 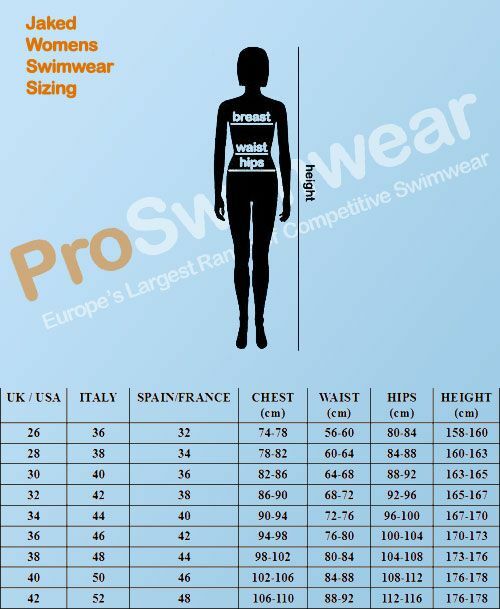 it uses a Jaked Comfort Fit design which is designed to be a more comfortable swimsuit than products with other fits. Medium Leg cut for a perfect balance between modesty, freedom of movement and comfort. Body-shaping design for extra confidence.